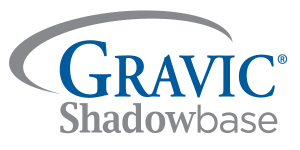 Gravic, Inc. Shadowbase newsletters contain forward-looking statements regarding future operations, product development, product capabilities and availability dates. This information is subject to substantial uncertainties and is subject to change at any time without prior notification. Statements concerning these matters only reflect Gravic, Inc.’s predictions and/or expectations as of the date of the publication or release of the newsletter. The actual results and future plans of Gravic, Inc. may differ significantly as a result of, among other things, changes in product strategy resulting from technological, internal corporate, market, and other changes. These statements are not a commitment to deliver any material, code, or functionality and should not be relied upon in making purchasing decisions. Specifications are subject to change without notice and delivery dates/timeframes are not guaranteed. Purchasing decisions should not be made based on this material without verifying with Gravic, Inc. that the desired features are available on the platforms and environments desired. All trademarks mentioned in the newsletters are the property of their respective owners.